The Racing Horse offer more key trends and this time for the York Dante Festival Meeting (Wednesday 16th to Friday 18th May 2018). The Dante is run on Thursday and a race that has produced four Epsom Derby winners in the last 16 years but 10 in total. The first was St Paddy in 1960 and the most recent was Golden Horn in 2015. 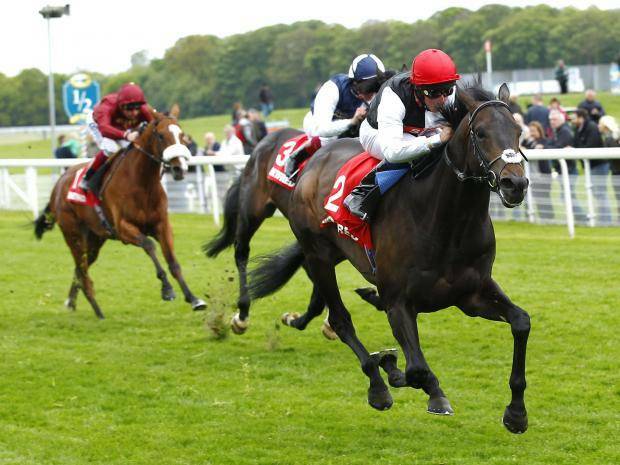 We think we have the winner of the Musidora Stakes on Wednesday and one at a price for the Yorkshire Cup on Friday. 2.20 York: SkyBet First Race Special Jorvik Handicap (Class 2) 1m4f. HAMADA highlighted why connections have been so patient when making light of a 19-month absence at Wolverhampton recently, notably travelling well and ultimately scoring readily. A 5 lb higher mark looks fair on that evidence and he can continue the good work back on turf. This is a competitive race of its type though, with Now Children and Crowned Eagle just 2 potential dangers. ORION'S BOW is well treated on his best efforts and his promising reappearance third at Pontefract suggests a return to his peak form may not be too far away. Foolaad had the selection in behind when making it 8 wins in his last 10 starts at Pontefract and is likely to give another good account, while Richard Fahey holds a strong hand courtesy of Gin In The Inn, George Bowen and Private Matter. HARRY ANGEL was ultra impressive when landing back-to-back Group 1 events last term, and whilst not at his very best at Ascot on his final start, he is fancied to concede weight all round and make a winning return. Abernant-winner Brando and last year's winner Tasleet can do battle for the forecast spot. Impressive debut winner HIGHGARDEN had failed to meet expectations when third at Sandown on her return but there was still plenty of promise in her run, taking a while to get going but strong by the finish, and she's taken to turn the tables with Give And Take. Ceilidhs Dream did well to overcome a slow start when edging out a well-touted newcomer at Newmarket and is another to consider.